Just as a CVB guides its visitors to partner hot-spots and attractions, VisitApps guides our clients to achieving the best possible onsite experience in their destinations. Don't just take our word for it, however. Check out a few client case studies and learn more about what mobile apps can do for you. Visit Fairfax enhanced their visitors guide by making it mobile. Valley Forge Tourism & Convention Board reached out to sports fans attending a major event in their location through their phones, boosting local business. With a need to centralize everything Gatlinburg had to offer, the CVB began looking for an app that would not only benefit visitors, but front-line tourism staff as well. Seeking to make the Gatlinburg brand well-represented in app stores, they realized the need to beat an outside developer to the punch by building an app that was compelling and easy to use. Even with an easy-to-navigate website, Keweenaw knew they needed to bring their presence one step closer to their potential visitors. But with a lack of cell and internet connections readily available in the Keweenaw Peninsula, access to their new website and downloadable guides would be harder. The CVB needed an organized and visually appealing way to give visitors the information they needed in an offline, yet mobile format. The city of El Paso welcomes millions of visitors every year. So when their visitor’s centers began seeing less and less foot traffic, they noticed. Despite the decrease in visits to their two information centers, as well as a lack of visitor response to print materials, Visit El Paso still needed a way to connect visitors with their staff, as well as enhance in-destination experiences like walking tours and brand loyalty to keep them coming back. It was 2011 and, with a goal of increasing its presence to visitors, the Greater Kokomo Visitors Bureau had just dedicated a large advertising budget toward rebranding. With it came new collateral, a new online presence, and a new visitors guide. But Kokomo still needed a way to reach visitors directly while they were in-destination..
Over the past several years, Fishers had noticed an overwhelming amount of website traffic that was visiting through a tablet or mobile phone. The city began observing the communication behaviors and preferences of their residents, as well as a lack of attendance at community and governmental events, including the city’s first-ever mayoral election in 2014, which only attracted 10% of residents for voting. 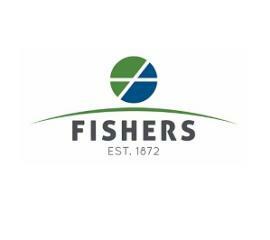 With a need for increased community participation, Fishers knew it was time to adopt a more mobile form of communication that would appeal to their on-the-go residents. As a tech-minded organization, Hamilton County had an engaging website and a dedicated mobile site. But they were looking for even more ways to implement new technology and appeal to new audiences. They began exploring a new medium that would highly complement their existing channels—mobile apps.